COUPONS: Gluten Free Printable Coupons & lots of Organic Coupons at Mambo Sprouts! Mambo Sprouts is also filled with some great printable coupons today! You can find more of these coupons here and here! 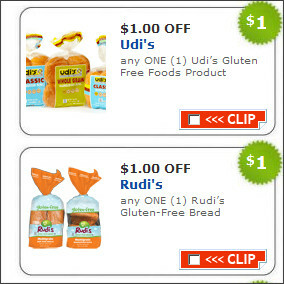 There aresome awesome Gluten-Free coupons at Mambo Sprouts, too . . .
like this $1.00 off Crunchmaster Crackers coupon. These will be only $1.49 a bag after this coupie doubles at Harris Teeter this week! and this $1.00 off one Nature's Path or EnviroKidz product coupon should help keep some money in the wallet a bit as well. Go here to have a look at all of them! Swagbucks: It's Mega Swagbucks Day! Hooray!